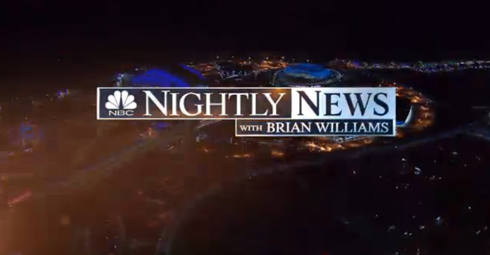 “NBC Nightly News” originated its first night from the Winter Olympics in Sochi, Russia, Thursday with a revamped open and Brian Williams anchoring from outdoors. 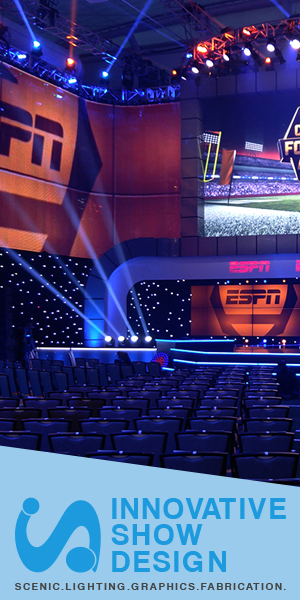 The temporary open is based on the show’s standard opening sequence, but customized with images of Olympics venues in Russia — similar to the open the broadcast used during the 2012 London Olympics. 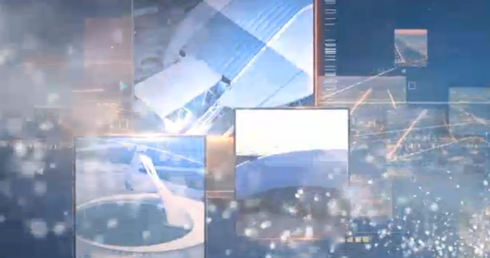 In a nod to the colder climate, this version of the open included subtle snow-like animation and lacked the warmer bursts of colors added to the London version. 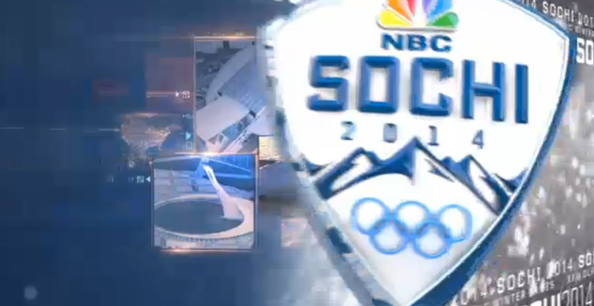 Another difference was that the network opted to use the full color, 3D version of the network’s Olympics logo as a transition from the venue images to the title card, before another transition revealed a cityscape. Unlike during the London games, this image did not appear to be colorized. That shield like Olympics logo seemed a bit out of place in the open, especially since the graphical style doesn’t match the flatter, more subtle textures in the open. 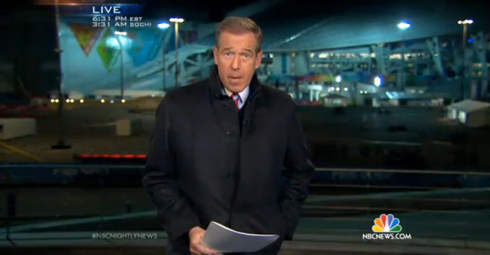 For the actual broadcast, Williams reported from and outdoor location in the Olympic park.